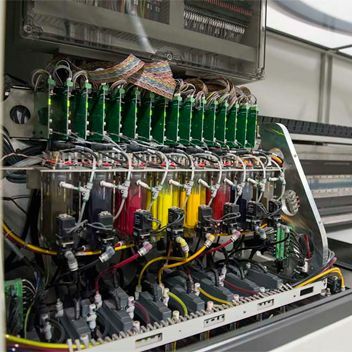 Textiles Alive operates the largest fabric imaging plant in New Zealand. The custom-built facility spans more than 17,000 square feet and houses some of the largest and most advanced dye-sublimation fabric printing machines in Australasia. In the last 12 months, we’ve invested well over $1million in our machinery and now proudly house some of the most modern and capable dye-sublimation textile print machinery available world-wide. These machines have been chosen for their award-winning quality and reliability and of course their outputs. The multiple state-of-the-art large format dye-sublimation printing production machines we own have a collective capacity to print 984sqm an hour in house. This equipment not only provides increased efficiency and volume, but also ensures that when it comes to image reproduction quality, there is no competition. 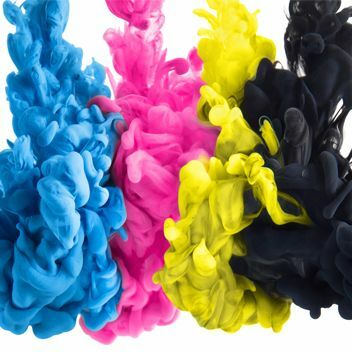 Our machines are aqueous-based and produce exceptional image reproduction through the dye-sublimation print process, dramatic four colour printing, deep colour saturation and wide colour gamut. They have ultra-high resolution, up to 2,400 dpi and four level greyscale printing with 4pL to 18pL drop sizes. Many of these machines are at 3200mm and 3400mm wide, meaning we are able to produce most available fabrics at 3200mm wide with no seam. At Textiles Alive our sole focus is dye-sublimation printing, which we believe to be far superior to any other printing format utilised for mainstream fabric imaging today. Dye-Sublimation printing delivers high definition results while maintaining fabric integrity – the perfect mix of both art and science. We begin the process by first printing on paper which is then pressed onto fabric by applying heat and pressure. Then the science kicks in, converting the ink to gas while the pores of the fabric open, allowing the fabric to absorb the ink. As the temperature drops these pores close, the ink then converts to a solid and the print is sealed into the fabric. Perfecting this process is an art, and one we think we’ve mastered. In addition, our dye-sublimation machinery allows fabric to retain the drape and soft touch customers prefer. We can produce graphics that can be washed and dried without wrinkling, folded without leaving marks and then reused. The colour vibrancy is unmatched, with deeper and richer colour courtesy of our machines superior colour gamut.